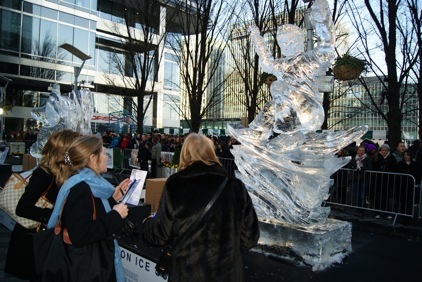 Eleanor Cardozo was one of three judges at the London Ice Sculpting Festival in Canary Wharf on Saturday 14th January. Ice sculptors from around the world created 2m ice sculptures interpreting WINTER SPORTS and taking part in the speed sculpting challenge interpreting TEAM SPIRIT. Both themes were specially chosen to trumpet the start of our historic Olympic year. Portugal won the first competition Winter Sports and the UK won the speed competition Team Spirit. 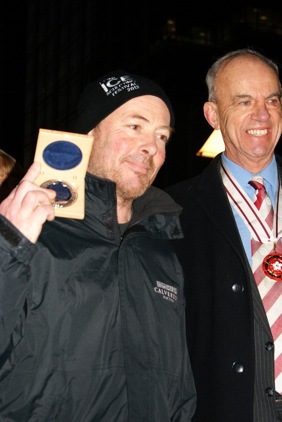 The UK also won the Public Choice Award. Photographs courtesy of Steven Pattenden.